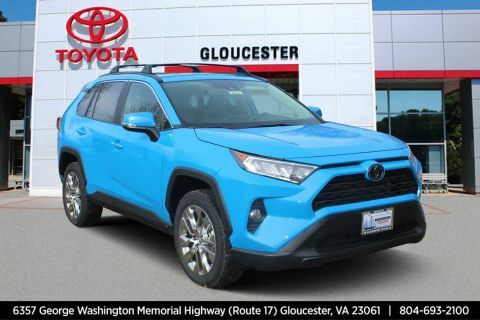 Delivers 33 Highway MPG and 25 City MPG! 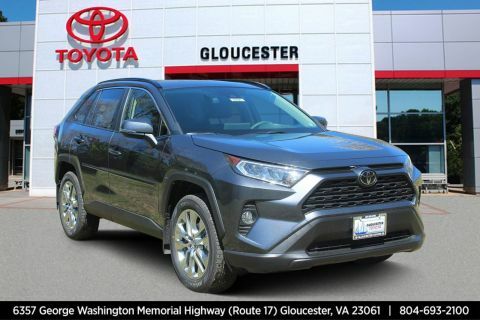 This Toyota RAV4 has a trusty Regular Unleaded I-4 2.5 L/152 engine powering this Automatic transmission. 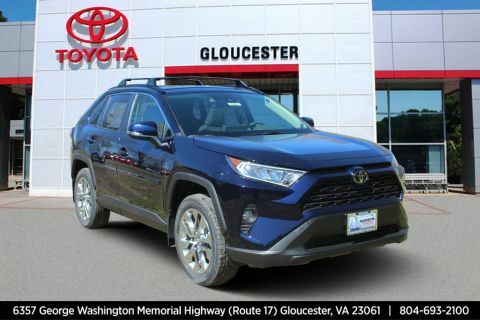 *Get Your Money's Worth for this Toyota RAV4 with These Options *XLE PREMIUM PACKAGE -inc: soft grip door trim and aluminum temporary spare wheel, PROTECTION PACKAGE -inc: Mudguards, Door Edge Guards, Alloy Wheel Locks, Body Side Moldings, COLD WEATHER PACKAGE -inc: Driver Seat w/2-Position Memory Function, Front Seat Heating, 3 Spoke Leather Heated Steering Wheel, Lane Departure Alert, Wiper/Windshield Deicer, Rain Sensing Front Wipers, ADVANCED TECHNOLOGY PACKAGE -inc: Intelligence Clearance & Back Sonar, Digital Rearview Mirror w/HomeLink, Wireless Phone Charger, Blind Spot Monitor, rear cross traffic alert and lane change assist , SPECIAL COLOR, RADIO: ENTUNE 3.0 AUDIO PLUS & JBL W/CLARI-FI -inc: 11 speakers in 9 locations, subwoofer, 8.0 touchscreen, AM/FM/HD Radio, aux port, USB media port, 4 USB charging ports, advanced voice recognition, hands-free phone capability and music streaming via Bluetooth wireless technology, Scout GPS link compatible w/up to 3-year trial, Siri eyes free, Apple CarPlay compatible, SiriusXM w/3-month all access trial, Toyota connected services - Safety Connect w/3-year trial, Service Connect w/3-year trial, Remote Connect w/6-month trial, Wi-Fi Connect powered by Verizon w/up to 2GB within 6-month trial, See toyota.com/entune for details, Anti-Theft System, alarm and engine immobilizer. 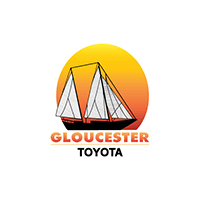 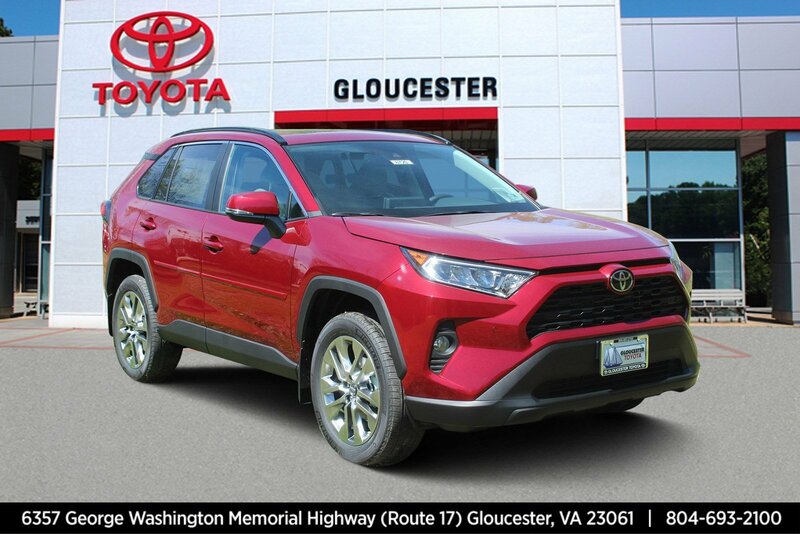 * Visit Us Today *Come in for a quick visit at Gloucester Toyota, 6357 George Washington Highway, Gloucester, VA 23061 to claim your Toyota RAV4!